Not my type of reading because I find there are tons of 'tergantung'. Here's another book written by Jill Sanders which I've just finished reading this morning. LOL! I must say that it was an interesting book to read but I'd prefer Loving Lauren more because I loved the stubborn character a lot. Anyway, Last Resort still a nice chick lit novel to read as I found some 'laughable' parts. It's an adult romance novel, and you can expect it's like a '50 Shades of Grey' thingy. Readers will definitely enjoy this book. If you like to read romance novel then you know what to expect from this kind of genre. Jill Sanders' Loving Lauren is about a stubborn young lady who lost both of her parents, and she has to be the breadwinner to the family especially when she later found out that her father made a loan agreement with his best friend (who is also her best friend's father). Chase (her best friend a.k.a crush) offered her an unexpected offer to free her from the financial obligation with a condition that Lauren has to agree to get married with Chase. Lauren agreed to the offer because she wanted to save the ranch which has been passed down for generations. Since Chase went to college, and didn't plan to return, then Lauren decided to pay the money which she 'borrowed' and appeal for annulment. The drama started when Chase returned to the ranch, and all Lauren's plans didn't work. The title and the cover are attractive but I have to say that the story is poorly written. No offense but I'm looking forward for more from this author. The Paper Heart by Magan Vernon starts with Elizabeth Libby Gentry who does not meet the college requirement of maintaining her CGPA for 2 semesters. In other words, she flunks out of the college. Thus, her parents decide to send her off to live and work with her dad's sister, Aunt Dee, in Louisiana. Then, she met Blaine Crabtree (macam 'ketam pokok' pula bunyi dia), the hottest hunk in Elsbury, in a 'not-so-Chicago' party. The plot goes with Blaine-Libby teasing each other (sarcastically), Blaine invited Libby for a dinner, getting closer, and fall in love. You can expect Libby's ex-boyfriend, Beau, and Blaine's ex, Julie. It's just a normal sweet and romantic story. Nothing to 'wow' but it's a sweet one. 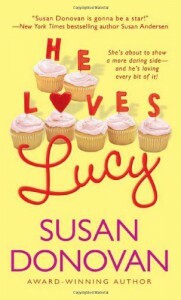 If you love chick lit story, then this should be on your list. The plot is nice. Short. If you love to read something that deals with more serious issues, and requires deep thinking, then this should be out of your league. Great for young adult. No saucy raunchy slang. It offers basic knowledge on how to lose weight and get a flat tummy. I find it's quite useful but it lacks of workouts. This book is great for individuals who have no ideas on how to lose weight or get flat tummy. There are no illustrations for workouts, making it a bit hard for beginners to do workouts as they would have to search on the Net for the workouts. 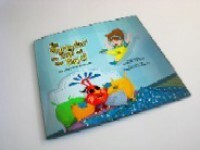 This is a great book for young children, and my daughters love the rhyme and vibrant illustrations. 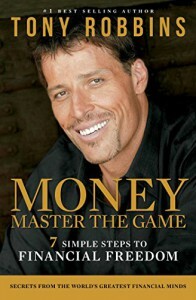 It's a great self-help book which is a must to read! 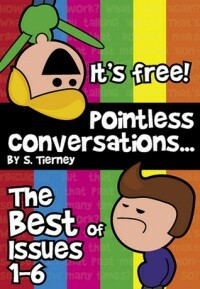 Love this book though it involves nonsense conversations about certain topics. I laughed a lot while reading through the conversation about Superman (he should be called alien because he's a Kryptonian, and coward), Light Bulb, and pregnant women should not get a seat (or they would crush the baby's head). This is my first experience reading a novel by Susan Donovan. 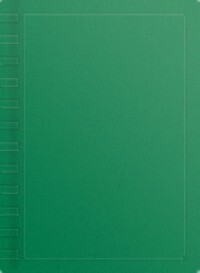 It's a very interesting book. I love the characters and the story. It has enough sugar and spice. Kudos, Susan Donovan. Looking forward for more books from you. I received kindle edition of The Monster on Top of the Bed by Alan H Jordn just a few days ago. I would love to thank the author for giving me the opportunity to read a very nice story. I've decided to read it with my 3 year-old daughter last night, and I laughed out loud when she asked me whether there's a critter under the bed (because I answered her that critter would only live under the bed if she never tidy up her bedroom!). This book has a very simple story with very cute drawn pictures (and colorful, too). This makes my daughter loves to point out everything that she saw on the book. "Mummy, what's this/that?" as she pointed out Karrit who was hiding under Suzy's bed. I find this book has a very interesting story as my daughter keeps on asking me about Karrit (and why Karrit has a weird look, etc). It keeps my daughter attached with the storyline. I love the concept of this book especially when there's a few quizzes after the story that will keep children involved in this story. Not interesting enough as most of the things can be read from the blog. 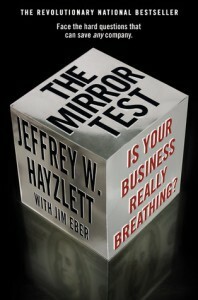 I must say that this is a well-written book, packed with lots of wisdom from Jeffrey Hayzlett! It makes me think that one cannot solely depend on a fad to carry on a business, it needs lots of research, and knowledge to make a business successful. One success doesn't guarantee a business would carry on for a longer period. Great book, and entertaining, too!